Bag searches: Are they allowed? I have always been under the impression that staff can only insist on searching a person’s bag if it is the size of (or greater than) the size of a loaf of bread. So, if you can’t fit a loaf of bread into your bag, the store doesn’t have the right to search your bag. Is this true? I saw someone insist a guy who had a bag the size of a sunglasses pouch show him its contents before he could leave the store. No, they can ask to search any sized bag…if they include such in the conditions of entry. Usually smaller sized bags (wallets/ purses, sunglass cases etc are unlikely to be a a great storage place as they would have insufficient volume to store most products. I have had ny computer bag searched many years ago and had to remove the laptop, even though it was obvious at the time that the laptop took up the whole of the bag. I travel extensively with my work, and I recall one supermarket in Central Queensland searching purses, glass cases etc (stated on condition of entry notice). I asked why they search purses, and was told that the item stolen most often in their store…saffron of all things, which easily fits in smaller things. I believe that store staff and security staff can only ask to look into bags etc of any size, but they are not allowed to touch anything. They cannot force people to open anything for inspection, they cannot hold people, or detain people. Only police can. Have a look at this awesome The Checkout video. I think that they are wrong about holding someone. (1) A person who strikes, touches, or moves, or otherwise applies force of any kind to, the person of another, either directly or indirectly, without the other person’s consent, or with the other person’s consent if the consent is obtained by fraud, or who by any bodily act or gesture attempts or threatens to apply force of any kind to the person of another without the other person’s consent, under such circumstances that the person making the attempt or threat has actually or apparently a present ability to effect the person’s purpose, is said to assault that other person, and the act is called an assault." So even touching is assault. Only the Police can hold and detain someone if the offence has been witnessed. There is some tort law that allows the use of force eg if a trespasser will not leave your property you can use reasonable force to do so (but the difficulty becomes what is reasonable). The Police then have to determine if they will consider charging a person. Same goes for instances of public order such as if you notice someone committing an indictable offence you can restrain them until Police attend, but again only using reasonable means to do so. The Law allows it as a reasonable defence in protecting yourself, your property, and others. The Ben Batterham case has a lot of people asking about laws relating to harming a person who's broken into your home - here are the answers. Yes, there are reasonable force and self defence provisions in criminal codes in most states. I would suggest that these do not apply to shoplifting as there is no threat to the storekeeper apart from a pecuniary loss. Therefore they cannot detain a suspected or even a witnessed shoplifter. This Law Firm’s advice is that a “Citizen’s Arrest” can be carried out if it was witnessed but not if suspected, and reasonable force may be used. The Crimes Act says that you (or any person) may ‘arrest’ someone who is caught committing, or who has just committed an offence which is punishable under the law. The law also says that if a number of people act together intending to achieve an illegal result, then every act done by one of them is done by all of them. You cannot arrest the person a few hours later or the next day. If the situation causes danger to you, your staff or customers, do not try to detain the offender. The value of the goods can never exceed the value of your life. You have a duty of care to all people you detain for an offence. You also have a duty of care if you decide to release a person from your store before police become involved. Juveniles should only be released into the care of a parent, guardian or police. *Explain who you are (eg. The manager, store security officer, etc) and show identification. *Tell the person why they are being detained. *Advise the person that the police will be called. *You are not entitled to conduct searches of the person or their property." In what situations can you make a citizen's arrest? We have all been in situations where we have witnessed someone break the law, and for some of us we have had intruders on our property. Are you able to take matters into your own hands and make a citizen's arrest? The question then is"Is it worth it?" and you if deciding to do so must use extreme care so as not to breach the reasonable force and other duty of care requirements. Thanks! That was really helpful. Interestingly, the bag-check ‘guidelines’ recommend a bag smaller than an A4 page be exempt (which must be where I had formed my belief around), but as this is just a recommendation, it is not a basis for refusing a bag check. a) It is a condition of entry that bags are presented for inspection upon request, so in essence if you enter you agree to this condition. Signs will be at the entrance. b) we can only ask to check customers bags that are A4 size or larger. Any bag that staff leave the store with is subject to inspection, regardless of size. c) We are not allowed to touch the bag or contents of the bags, but can ask that items within the bag be moved. d) a person is allowed to refuse a bag inspection, and I’ve had that happen a few times. But if a bag check is refused store management has the right to permanently ban that customer from the store. I know of cases where a staff member has have been assaulted by customers when asking to check bags. I know of a case recently where a young female employee was slapped by a customer for asking if they could check their bag. There have been plenty of times when customers we least suspect have been caught stealing. We also need to be fair by asking everyone that falls over the A4 size limit. Most times people will voluntarily show us before we ask them. Stealing from shops is a serious issue. Just a few weeks I managed to stop someone walking out with a trolley with $850 worth of stock in it. After stopping them they remained in the store for a while before stating they were going to make a complaint about me. My line manager who was also the duty manager at that time actually removed me from the area I was in to avoid the customer going off at me. The customer ended up leaving without buying anything in the trolley. Just minutes after that one of the young teen girls stopped someone else walking out with a trolley with over $1000 worth in it. Later that night we had 2 people escape with full trolley. Police have recently put out an appeal to find those 2 people. Customers, especially regulars, will often tell us when they see people stealing. Some will even chase after them if they leave the store with stolen items. We had one case last year where a customer went chasing after a thief to be threatened with a knife. A couple things to remember are that often it is young staff on, eg. 15-17yos, and like any job we are doing what we are told to do. Also the amount of staffing in a store is determined by the value of sales, so if we are constantly losing stock, it may affect the amount of hours given to staff. Conversation at the door of major retail out. Doorperson: May I see inside your bag sir? Me: That depends on whether you want me to shop here again. At a rough estimate I’d say I spend more $1500 dollars a year here. If I am to be treated as a potential thief, I’m quite happy to take my custom elsewhere. Now did you want to examine my bag? Doorperson: No thank you, that won’t be necessary. Have a nice day. When the majority of theft from stores is committed by employees, door bag checks are little more than meaningless theatre. I spent many years working in retail Loss Prevention, and as part of my duties spent countless hours in court dealing with numerous cases related to both customer theft and staff theft, and some cases related to customers v staff. Retail theft by customers is a serious issue for some stores, but nowhere near what it is made out to be across the retail spectrum. The retail industry likes to put large numbers out there because it allows the industry to factor in the costs of loss due to “customer theft” in its pricing models, and can point to theft as a reason when complaints get raised about the cost of goods. The majority of losses suffered by the retail industry involve staff stealing and goods damaged by staff due to mishandling - that’s where the big loss dollars reside. Consumers need to remember though that checkout staff are only doing their job when requesting to see your bag, so don’t shoot the messenger - if you want to complain/get upset about having your bag checked ask to see the store manager and take it up with them. They can request to check your bag and you can refuse, that is your right. If you choose to do so though please remember the following, do so politely but firmly and please don’t be aggressive or abusive. The staff member is not personally calling you a potential thief, it is the business owner making that call. Also remember that you are on someone else’s property and the business owner or their representative can revoke their permission for you to enter their premises freely for not complying with their requested conditions. That is the only legal standing that the sign at the front of the store has (yet to see/hear of a business owner throwing away customer dollars like that though lol). Whether you choose to present your bag for inspection or not, no employee or manager can touch you or your property unless you give them consent to do so. If you do choose to comply with an inspection request and a staff member asks you to move items in your bag, you can still refuse that request. If a staff member/manager DOES touch you or try to restrain you, request that the police be called as that person has committed an assault against you (unless of course they have in fact witnessed you stealing and you have said property in your possession). One case I attended was when a customer did indeed take a store manager to court for assault & unlawful imprisonment, when the manager forcibly restrained them and took them to his office under the allegation of shop stealing after refusing a bag check. When police arrived they found that the manager could not identify what the customer had supposedly attempted to steal (the customer had not made it out of the store), but said he believed the item was in her handbag. The police requested the customer allow a search and found no evidence a crime had been committed. They had to request the search as there was no legal basis to demand one - the manager could not identify what item was stolen, just a general allegation that she had something concealed in her bag. I could be wrong but I believe in some jurisdictions the police authority to search has been broadened now. They asked the customer how she wished to deal with the situation wanted to deal with the situation, and naturally she wanted to press charges. 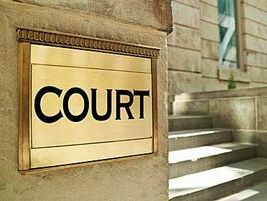 The company lawyer in court brought up the conditions of entry sign as part of their defence, which was rejected. The customer’s lawyer brought up a few giggles though when stating that if the sign said “You must remove your pants or skirt whilst shopping here” would the store manager have thought it ok to attempt to remove the customer’s clothing. You have the legal right to refuse a bag check, or refuse to move items in your bag if you have consented to a bag check. All the above is based on my experience in the industry and the courts, and could have changed since I left - I am not a lawyer so if you decide to play hard ball, check the current laws in your jurisdiction first lol. Assault & Unlawful Imprisonment have not changed though, they are long standing laws which they’d find extremely difficult to change lol. Those cases would be the ones I suspect are wanting to hide something. I have seen people walking straight through the self-service area at the local shops with goods they are not paying for. When I notify the staff, they can do nothing as they are not permitted to leave the area and by the time someone else arrives the thief will be long gone. I assume the law has changed, but my understanding was that the person had to leave the store with the goods before they were stopped for shoplifting - as otherwise they could still be ‘making their mind up’. As I stated above, I would immediately become more suspicious of you. Additionally, you have accepted the store’s terms of service by choosing to shop there - you have no right to subsequently seek to impose your own terms. If it’s a major retail outlet, and you spend only $1,500/year there, I would say goodbye and stay out… after you have shown me the inside of your bag, because your actions are not instilling me with trust that you have not stolen from the store. Others have already said it - show some respect for people who are doing their job. JB HiFi has security people at the door; I always open any bags I’m carrying for inspection as I leave because I know it’s their job and I know why the company needs that check. I would say goodbye and stay out… after you have shown me the inside of your bag, because your actions are not instilling me with trust that you have not stolen from the store. Before you lecture me saying “show some respect for people who are doing their job” may I suggest you read the excellent post by obbigttam which covers many of the issues and appears to do so in a balanced and reasoned tone. Well you certainly managed to antagonize me there. My apologies - that was not my intent, although it was my intent to show how your actions may appear to the person on the receiving end. As I also mentioned in my post, I have seen people walk straight out the door with supermarket goods. As @backflip pointed out you cannot simply identify shoplifters by their appearance, and shoplifting can be an expensive problem. As for the assumption of innocence, I certainly agree with that and with the concept that before one innocent person is unjustly jailed it is better that 100 guilty people go free. This is not about an assumption of innocence, though - it is about upholding a store’s policies and seeking where possible to reduce unnecessary losses. And yes, I did read the post by @obbigttam - along with the rest of the thread - before writing my own response. Retail theft by customers is a serious issue for some stores, but nowhere near what it is made out to be across the retail spectrum. I have been with my employer for well over 10 years. 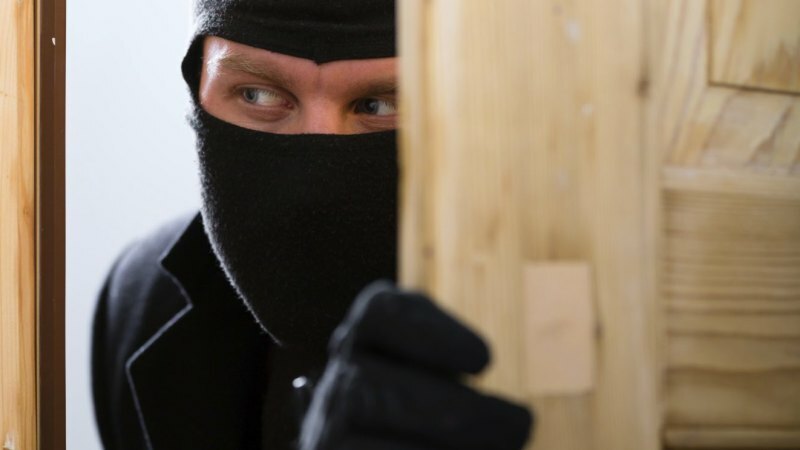 During that time customer theft has risen dramatically, especially in the last year or two. There is one person who was hired at the same time as me - who is considered by both customers and staff to be one of the best customer focused staff we have - now wants to completely leave front end due to the increase in customer thefts. Just last week there was an incident at what is an upscale shopping centre in Adelaide. Two off duty police officers went to assist security guards trying to apprehend a group of alleged thieves. It resulted in six people being arrested and charged. During the incident the female off duty police officer was allegedly bitten by one of the alleged offenders that she had placed under arrest, kicked in the head by another alleged offender and punched in the head by the alleged offender she had arrested. Going to her aid, the male off duty police officer was kicked in the arm by another alleged offender, resulting in a broken arm. Also remember that you are on someone else’s property and the business owner or their representative can revoke their permission for you to enter their premises freely for not complying with their requested conditions. That is the only legal standing that the sign at the front of the store has (yet to see/hear of a business owner throwing away customer dollars like that though lol). Just the other week I saw my store manager ban 3 people in 5 minutes. Before the incident that caused one of them was banned, they told the store manager that they would go to one of our rivals. The store manager just simply said that they were free to do that. It’s not the first time I’ve seen a store or duty manager ban people for refusing bag checks. call the police if they believe you have been shoplifting. It’s not uncommon for customer to just hand me their bag for me open it and check. They are quite surprised when I say I’m not allowed to touch it. As I previously mentioned all staff are subject to bag checks regardless of size, including bags that are smaller than A4. I’ve personally checked the bags of Assistant Store Managers, Store Managers, and even staff from the regional office, and have been told good job for doing so.